Paper Converting Machine Company (PCMC), a part of Barry-Wehmiller, will showcase its extensive nonwovens converting experience at IDEA19, in booth #1660, from March 25-28, 2019, in Miami. Attendees can learn how PCMC’s modular equipment serves a variety of market needs at the pre-eminent, leading exhibition for nonwovens and engineered fabrics. Offering hygienic, high-speed folding solutions, cross-folding machines that provide quick product changeovers and multi-servo cutting modules, PCMC can meet a wide range of production demands and enhance customers’ profitability, whether they’re creating cosmetic, medical, baby, dispersible, scientific, cleaning, polishing, sanitising, or drying wipes, the company said in a press release. 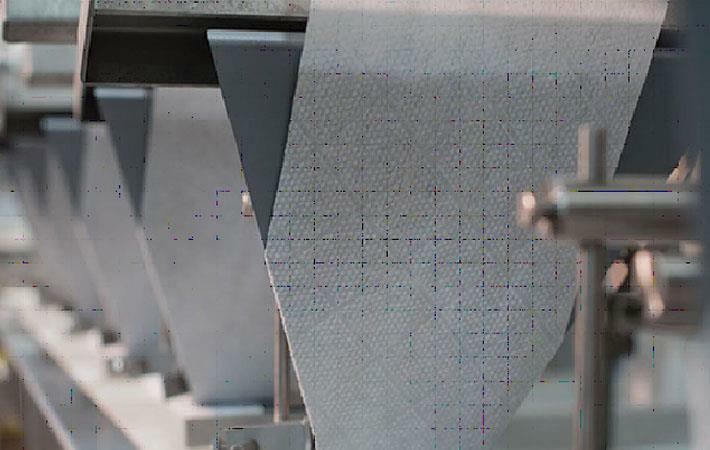 Paper Converting Machine Company (PCMC), a part of Barry-Wehmiller, will showcase its extensive nonwovens converting experience at IDEA19, in booth #1660, from March 25-28, 2019, in Miami. Attendees can learn how PCMC's modular equipment serves a variety of market needs at the pre-eminent, leading exhibition for nonwovens and engineered fabrics.